Explore a new style of wet felting with Carol Farmer and Kathy Giroux from Mountain Fiber Folk. 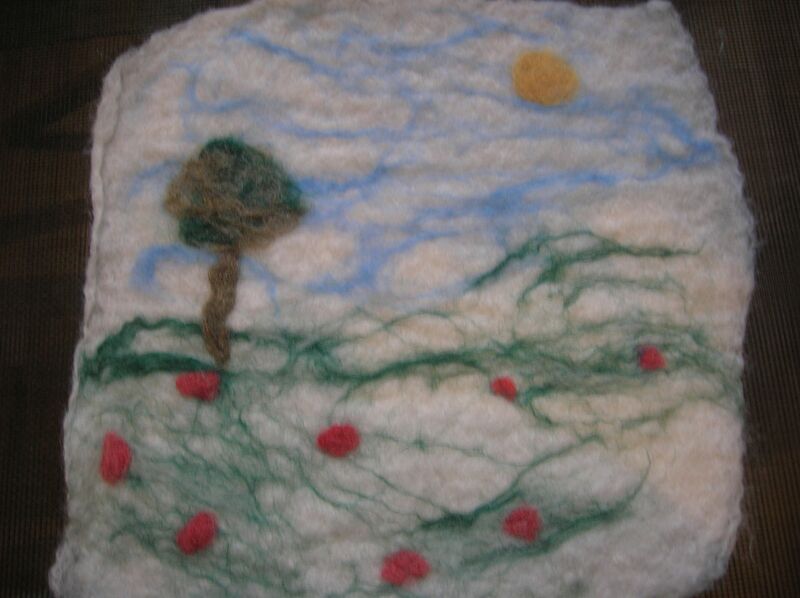 Use a partially felted material as a base for embellishment to create a landscape style design or other design. Bring a photo or drawing for inspiration if you’d like. Normal fee for this class would be $15, but as a part of Arvin A. Brown’s “Make-It-and-Take-It” series participants will only be charged $10. Additional material and books will be available to purchase. PLEASE CALL OR EMAIL the library to let us know you will be attending, so we can be sure we have enough material for everyone!